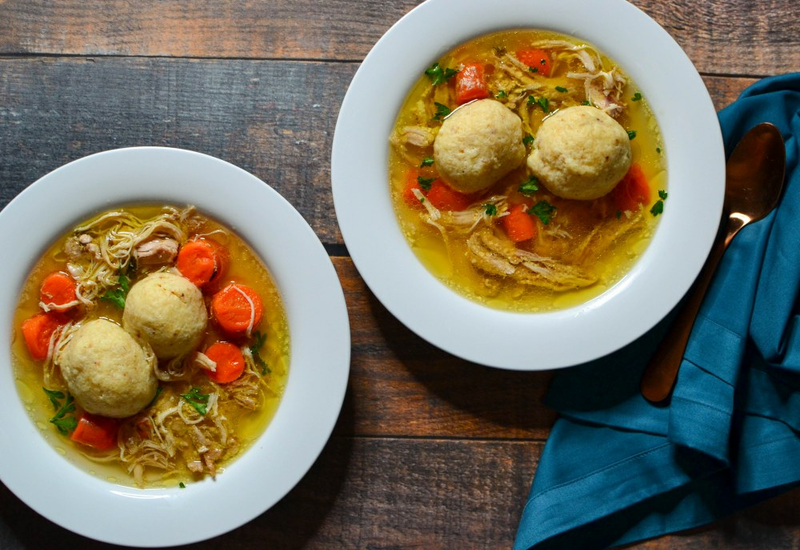 Use your slow cooker to make matzo ball soup with this simple and delicious recipe. Include noodles for a heartier meal! Per Serving: 233 calories; 12g fat; 17.7g carbohydrates; 15g protein; 109mg cholesterol; 338mg sodium. Very good matzo ball soup recipe. Also my first time making in a slow cooker! Can't wait to make this again later this year as the weather cools down. Surprisingly delicious matzo ball soup. Reminded me of chicken and dumplings. The matzo balls were a lot easier to make than I expected. They don't keep very well the next day, they get soggy, so I recommend making the balls fresh. Great dish, very good flavor.